Well hello to you my reader chums! 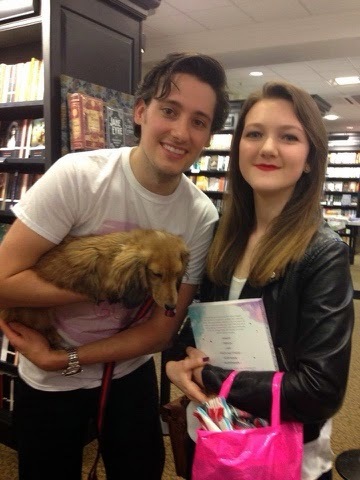 On Saturday Danielle and I attended Fleur's book signing where we had the chance to meet Fleur, Mike and their little dog Piglet. It was one of the best book signings I've been to and such a surreal experience. 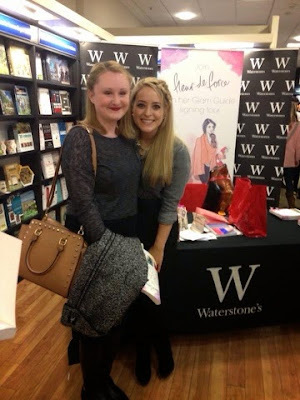 I loved how Fleur had the chance to personalise our books and spend time chatting/taking pictures with everyone. She was one of the most genuine people I've ever met and it was a pleasure having the opportunity to talk to her. Once I had a picture and chat with Fleur, I was able to go speak to Mike and stroke Piglet. Mike was just as lovely and really easy to talk to. I love how he came to support her and was enthusiastic to speak to all of those who watch Fleur's videos. I could go on forever about how amazing the day was! I just want to say a huge congratulations to Fleur on the book, I've had a flick through so far and I'm really intrigued with the design. The style of the book is very sophisticated and elegant, I love it! I've read a couple of pages from each chapter to have a little nose and I can't wait to have a proper dive into the book as I adore what I have read so far. 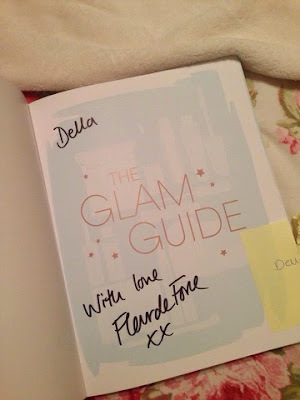 My signed copy of The Glam Guide. 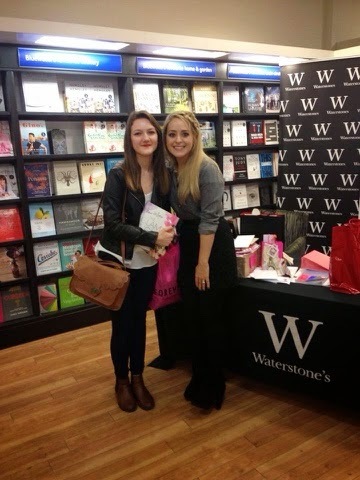 Danielle and I after the book signing. We had the best time at the signing and afterwards went for a little browse, then decided to stop for some lunch/dinner. I watched Fleur'svlog from the day of the signing and when she was in one of the restaurants, you could see a blur of two girls in the background, which was us two! At the time we didn't realise she was in there, but its crazy to think. 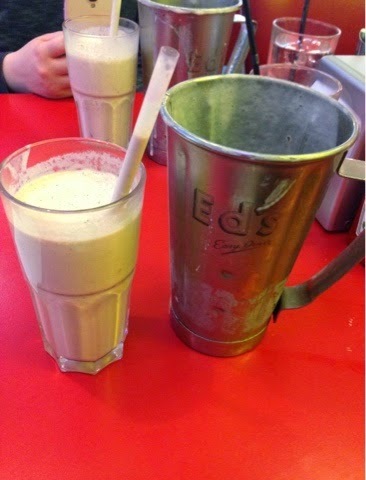 After a little walk round we decided on Ed's Diner, an American style restaurant which neither of us had tried before. I have to say I was very impressed, for someone whose not a lover of burgers, it was delicious. Also I had the most beautiful nutella milkshake! They gave you the whole jug, serving up a few glass fulls of nutella goodness! 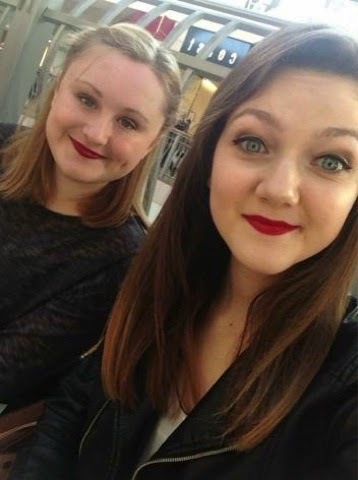 A magnificent day, spent with my best friend. 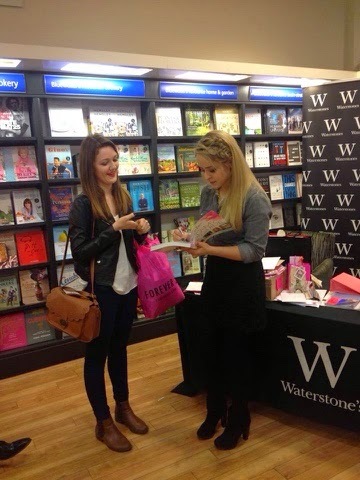 I hope you enjoyed this blog on Fleur's book signing. 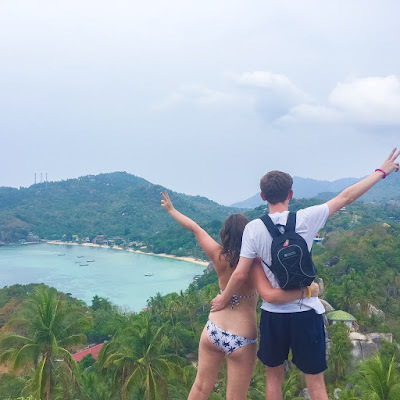 Did any of you have the chance to go? Looks like it was a great day. Glad you enjoyed meeting Fleur she always comes across as such a lovely person. 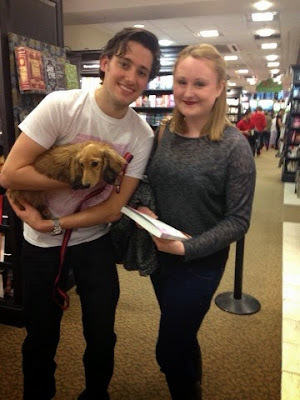 Very jealous you got to stroke Piglet - she's so cute. That is pretty awesome, Fleur is one of my fav youtubers. Wow, amazing! 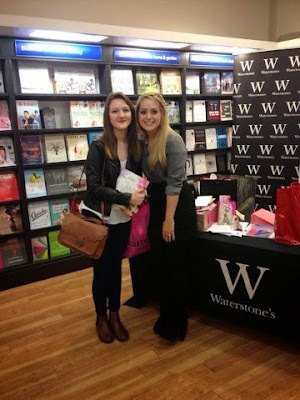 I wish I could go on book signing!